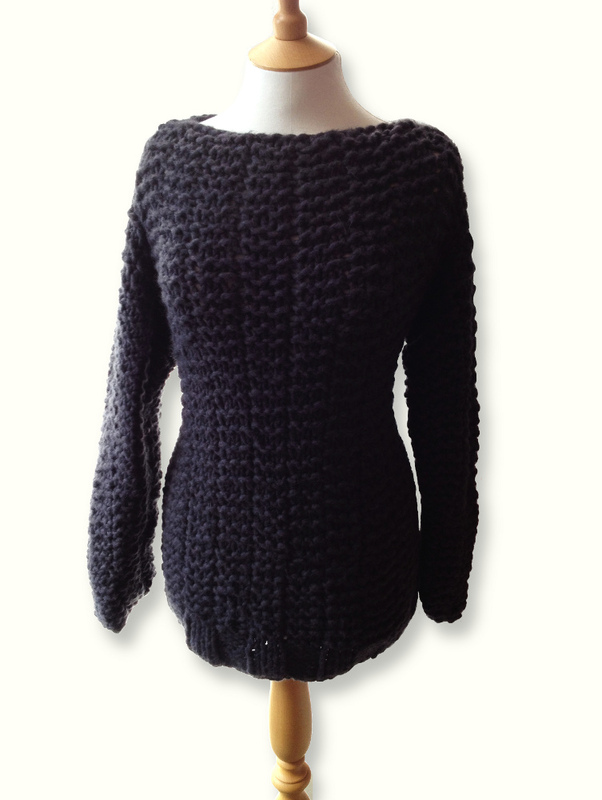 Brenda knitted this lovely sweater in Gedifra Benevito. It worked up very quickly on the 12.75mm pins and it's so cosy. The pattern is taken from the SMC Moments 004 Booklet, which has plenty of quick and easy chunky patterns to tempt you. Linda W knitted this gorgeous sweater dress in Sirdar Click Chunky. 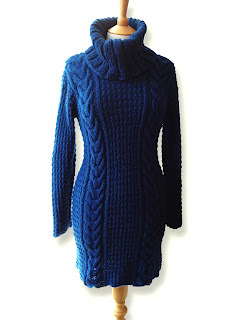 She used aspects from two different patterns to create the finished garment - the cabled body design is Sirdar Pattern 9059 from the Winter Glamour Booklet, and the cowl neckline is from Sirdar Pattern 9452 in Connemara. What a clever girl!